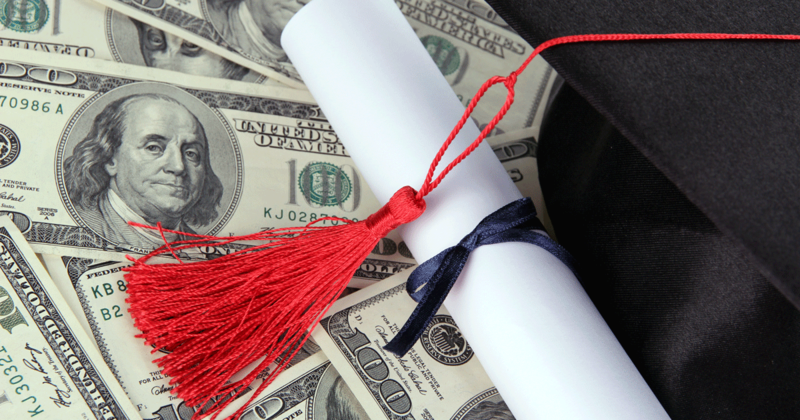 New data on earnings from work by education attainment - Michigan Future Inc. The recently released 2017 American Community Survey provides data on median earnings from work of those 25 and older who worked. The table at the end of this post presents that data for the nation, Michigan, and Minnesota–the Great Lakes most prosperous state. Earnings included in the data are wages and salaries from a job plus net self-employment income. Employer-paid benefits are not included in earnings. The table makes clear, once again, that the typical worker earns more from work as education attainment increases. No exceptions to the pattern: the higher the education attainment, the higher the earnings from work of those who work. The table shows this was the case in 2017 for workers across the country, in Michigan, and in Minnesota. It provides up to date data on the reality that workers with a four-year degree or more earn the most. Despite way too many business and political leaders telling us the opposite. It is worth noting that, although there are big premiums in moving up the education ladder at every rung on the ladder, the biggest premiums by far are from earning a Bachelors Degree compared to some college or Associates Degree and for earning a graduate or professional degree compared to a Bachelors Degree. 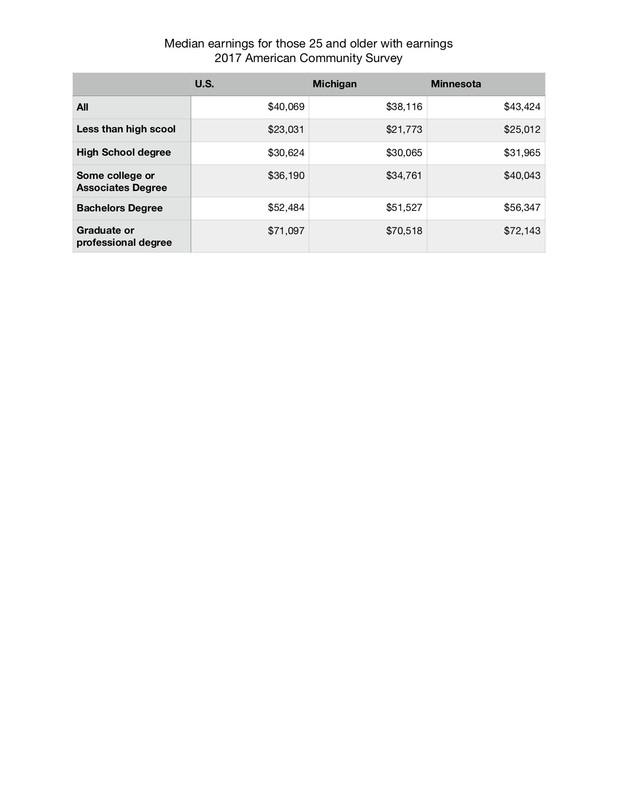 In Michigan the median is about $17,000 higher for those with a Bachelors Degree compared to some college or Associates Degree and the median is about $19,000 higher for those with a graduate or professional degree compared to a Bachelors Degree. The median earnings from work is more than double for those with a graduate or professional degree compared to those with some college or Associates Degree. The table also provides more evidence that Michigan is lagging the nation even in a strong economy with a low unemployment rate and a strong domestic auto industry. Minnesotans are doing better. This data show that working Minnesotans are earning more from work than working Michiganders. The main reason is that more Minnesotans have a four-year degree or more which is where high-earnings jobs are concentrated. 36.0 percent of Minnesotans have a bachelors degree or more compared to 29.1 percent of Michiganders and 32.0 percent of all Americans. The data also show that at every education attainment level Minnesotans have higher median earnings from work. As we explored previously Minnesota is a state with wages above the national average, Michigan is below. One interesting thing about the statistics is that they seem to indicate that having more highly educated workers in a state tends also pull up the wages of people with less education. Yes. There is other research that confirms that is the case. The question that gets raised is “do the higher wages for lower-education workers cover higher cost of living in most high-prosperity regions or not?” There the evidence is less clear.